Karina's Kreations: Flying Home Big Shot Focused Card! Flying Home Big Shot Focused Card! The Flying Home stamp set has a lot of possibilities. 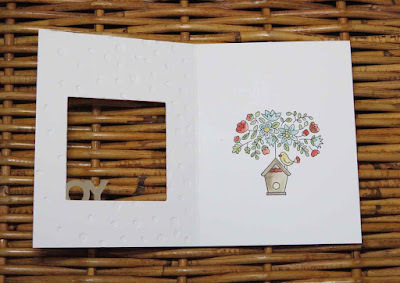 I'm in a swap and my challenge was to create a flying home card using the Big Shot. 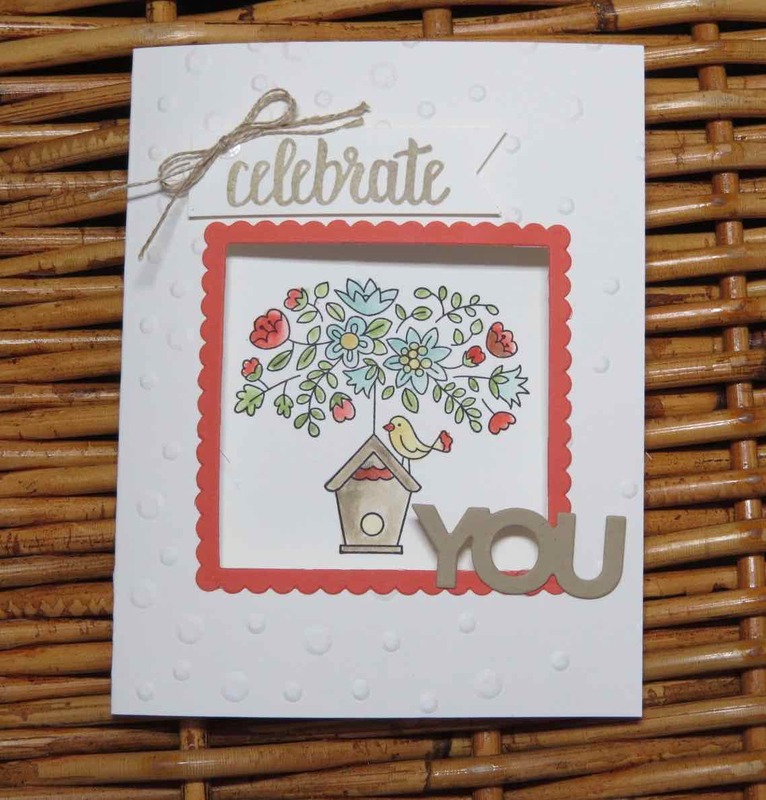 I tried to use a few different big shot products and ended up using three, the Layering Squares Framelits, the Scattered Sequins embossing folder and the Sale-a-bration Celebrate You Thinlit dies. I stamped the image with Black Archival ink on Thick white card stock and colored it with my Aquapainter and ink from my ink pads. You'll find all of these Stampin'Up supplies in my online stamping store by clicking any of the pictures below.